The president of the National Assembly (Asemblea Nacional or AN), Juan Guaidó, and the major employers’ parties in the parliament, have called for a rally in Caracas and regional mobilizations for next Wednesday, January 23. This call has generated expectations in some sectors of the people. We understand that sectors of the workers and of the popular communities keep some kind of hope that this convocation of the AN can lead to an exit to the brutal crisis that we are living. We understand that these expectations are based on the wholesale and generalized rejection of a government of hunger, of false socialism, which applies a brutal anti-worker and anti-popular adjustment program, making the Venezuelan people pay the price for the most brutal economic crisis experienced by Venezuelans, created by the government, local businessmen and transnational corporations. However, as revolutionary socialists who have opposed the current Chavez government, we have the responsibility to tell those people who want to end this tragedy that we are living through, that we can not have any confidence in the National Assembly, where the same parties that betrayed the popular rebellion of 2017. We can not forget the more than 120 deaths in the protests, nor the thousands of wounded and detainees, which those same parties did to one side, to enter a negotiation table and later in the fraudulent electoral processes summoned by the government. The AN and its parties, only seek to rearrange and recover the lost popular support, with the aim of putting pressure on the government, which is currently going through a severe internal crisis, to initiate an orderly and negotiated transition with the Maduro government, which would have the support from the United States and the employer governments that are members of the Lima Group. In this sense, we must say that it is not true that on January 23 a political change will be opened in favor of the workers and the people. We can not create false expectations with a call that seeks only to open a channel of dialogue with the government and dissident sectors of Chavez. The only way to defeat the package of adjustment of the government, and achieve an exit to the crisis in the service of workers is with the mobilization and the workers and popular struggle. It is not with negotiations behind the back of the working people or with the interference of imperialism and its allied governments in the region, that the economic and social tragedy suffered by the Venezuelan people will be resolved. A Yankee intervention would not bring anything good for the people, and we condemn those who irresponsibly invoke it. But neither will the crisis be solved, delivering a blank check to Guaidó and the AN’s patronal parties. Our party insists on affirming that only with the unitary, autonomous and independent mobilization of the workers, the workers and the people, that marks the distance from the parties represented in the AN and in the Great Patriotic Pole-PSUV, will we be able to defeat the government and its anti-worker and antipopular adjustment package. We must rely on our own forces organized and mobilized in the streets of the country. We must follow the example of teachers, who today overflow their bureaucratic leadership and prepare a strike against the government. As well as following the path of the workers of the University Hospital of Caracas who, with their massive and united mobilization, divided sectors of Chavismo that joined the struggle against the hospital’s corrupt directive, for the recovery of resources that they were stolen and for wages equal to the basic basket. It is necessary that workers continue the struggle begun last year for decent wages indexed monthly, in defense of collective hirings, and against salary tables imposed by the government in the public sector. That more and more sectors join the struggle, and that the mobilization of the workers joins with the struggle that in the communities begins to develop for food and public services, broadening and generalizing the protest in the street against the government and its Anti-worker and antipopular adjustment package. 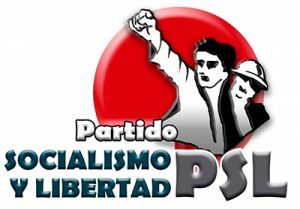 The Socialism and Freedom Party (PSL) and its C-cura trade union current, as an integral part of the Intersectorial of Workers of Venezuela, and of other unitary instances in the different regions of the country, will demand not to be a big van of the employer sectors, and we will continue promoting the independent workers’ and popular mobilization to conquer a Popular Economic Plan that starts from achieving a salary equal to the basic basket indexed monthly, an import plan for food and medicine, the non-payment of the external debt, that the oil be 100% state without joint or transnational companies, confiscation of the assets of the corrupt and fraudulent importers, and that all these resources are used for health, education, salaries, retirement, housing, recovery of PDVSA and basic businesses, and for the promotion of an agrarian reform that grants land, inputs and technical support to the poor peasants, always having as a perspective the need for a government of the working class.